If you’re not one for lying down on a couch and talking about your problems, you might consider an alternative type of therapy; fly fishing. There is nothing quite like standing in a cool stream, breathing fresh air, and taking in a beautiful, natural scenery while holding a fly rod. 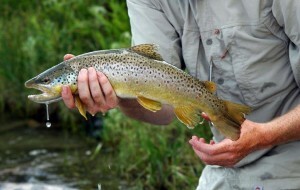 Montana boasts some of the best fly fishing in the country and Healing Waters Lodge is in the heart and soul of it all. We have easy access to the Ruby, Big Hole, Beaverhead, Jefferson and Madison and to private spring creeks, and streams. Our guides will get you where you need to be. To get started on your road to Nirvana, call Mike Geary at 406-459-2030, today!